Ghana’s much needed win over Mali represents a triumph of a collective will and determination over style. Mubarak Wakaso’s 38th minute penalty lifted the Ghanaians over the Malians in an Afcon group game for the second year running. Coach Kwesi Appiah made a few changes to start this game, moving Kwadwo Asamoah into a midfield role and putting Harrison Afful at left back. Blonde-haired Isaac Vorsah returned to the starting lineup ahead of Jerry Akaminko while Rabiu Mohammed came in for Derek Boateng. The changes worked in restoring balance to the side. All these players slotted in to their natural positions and allowed Appiah to set up the team in a more compact way, a recognition of our defensive weaknesses in the first game. Further, Appiah had decided that Mali’s main threat was Seydou Keita and packed the midfield to counter his threat. Talk about cutting off the head of the snake and cutting off supply to the Malian forwards. It worked as Mali resorted to long balls that the central defenders dealt with relatively comfortably. Vorsah’s contribution was hard to ignore as long ball after long ball was met with blond plaits. Aesthetically, neither his hairstyle or the way the Stars played was pleasing but given the result, it was a good strategic adjustment, which harkened back to the days of Milovan Rajevac’s famed one goal project. Perhaps this is a belated acknowledgment by Appiah of one of his former bosses tactics. Appiah has also found in Albert Adomah and Mubarak Wakaso, player with pace who can provide width on the flanks. Adomah especially is willing to attack and defend and has provided some telling crosses into the box for forwards to run onto. Unfortunately for Wakaso and Adomah, our forwards have been a tad late on some of those crosses but the threat is still important. In the end though, it is the three points that mattered. Ghana sits atop the table with four points with a final group game against tricky Niger to come. More importantly, Appiah and his troops get a first Afcon 2013 win and now they can build their confidence and relax and play a more well rounded game. Ghana’s Black Stars got off to a shaky start, Sunday, in their 2013 African Cup of Nations Group B opener against Democratic Republic of Congo. Memories of our 2-0 lead will quickly make way for second-guessing Coach James Appiah’s selection and substitutions. By the way, why the sudden reference to Appiah as James? Isn’t it ironic that a coach appointed on the back of a nationalistic, pan Africanist fervor is now being referred to by his ‘English’ name? It has always been Kwesi Appiah aka Akwasi in my book. But let’s not digress. 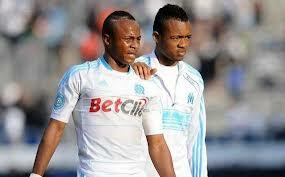 Some will point to Andre Ayew’s exclusion as a reason why we didn’t win yesterday. After all, seeing him on the score sheet for his club, Marseille over the weekend was only going to fuel conspiracy theorists who insist that he was dropped for reasons other than injury. I disagree with those that think Andre’s inclusion would necessarily have won the game. The defensive discipline and organization that the Black Stars exhibited during Milovan Rajevac’s tenure is no more. The decline begun under Goran Stevanovic and Kwesi Appiah has yet to stem it. In our last friendly before the tournament against Tunisia, there were signs of defensive frailty and confusion. Defensive mistakes are the biggest reason why we didn’t win yesterday. Prior to the game, I tweeted my concern about our back four because they had not played together as a unit in a competitive match. Defense is probably the most complicated position on the pitch to play as it takes familiarity with one another to prevent elementary mistakes. Building defensive team discipline however is a team effort that starts the moment a team loses the ball. In the first half, we did not do a good job of keeping the ball let alone reacting alertly when we lost it. Defensive ability also has to do with the personnel on the pitch. That we have not solved our left back problem is glaring. Twenty minutes in, it was obvious that Claude Leroy had dedicated the match to exposing Kwadwo Asamoah as a left back. Wave after wave of Congolese attack was launched from Asamoah’s end. He fought off some but was inadequate on others. As the saying goes, you can put lipstick on a pig but it will remain a pig. His instinct is not one of a defender. Asamoah is good defensively when he is deployed as a midfielder. He tracks back well, true to his Italian education. Make him an out and out defender and he is not as convincing. Kwesi Appiah describes him as a ‘utility player’ but he is no Sam ‘Foyoo’ Johnson, Ghana’s last able ‘utility player’. The Congolese used the attack the left back as though your lives depended on it approach to create a few clear-cut chances in the first half hour of the match. They, rather than Ghana, could easily have been up 2-0. 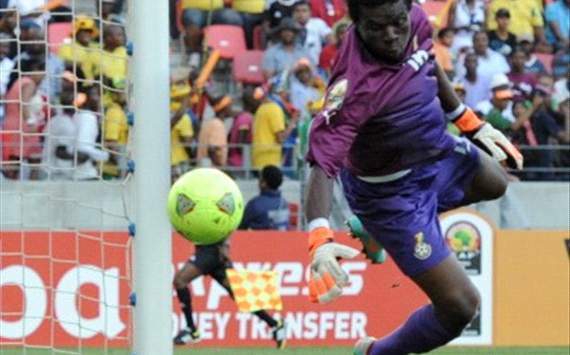 Lomano Lua Lua hit a shot that goalkeeper Abdul Dauda Fatawu parried onto the crossbar. From an almost identical move, Mbokani skied a shot. Congo was threatening. Ghana had their chances too. Derek Boateng played through Asamoah Gyan but with only the keeper to beat, Gyan dragged the ball wide. 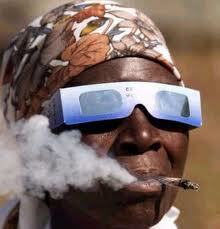 Cue the unnecessary abuse from Ghanaians on my timeline. That spurned chance was a microcosm of Gyan’s play throughout the match. He lacked sharpness and despite 150 percent effort, he seemed unable to do what his mind was willing his body to do. The fact that we were up 2-0 and could easily have gone on to win should not hide the fact that we could easily have been down by the same margin. Both sides created numerous chances, an indication of what an open game it was. Yet, it was somewhat against the run of play that Ghana scored. Asamoah made a deep run, played a one two with Emmanuel Agyemang Badu and served up a tap in for Badu to score just before the half. Dagger. The second half starts, Ghana get a corner shortly after recess and that midfielder, erm defender Asamoah again pops up with a header off the bottom of the crossbar. GOAALLLL!!! 2-0 Ghana. Surely, we are going to pull a rabbit out of the hat. Except, Congo continued playing as though nothing had happened and they knew they would score at a moment’s notice. Man of the match Tresor Mputu showed how valuable he was to the Congolese team with a slick run that confounded Jerry Akaminko. He finished with what famed broadcaster Kwabena Yeboah would likely term, aplomb!!! I simply slouched in my chair, uttered ‘damn’ and asked silently, ‘are we really going to blow this lead’? We did. Akaminko again. Turned into pretzel knots, he fouled Mbokani inside the box. ‘A pe’. ‘Panalty’. ‘Penalty’. Call it what you want. Dieumerci stepped up and accepted the decision from referee Bennett. Fatawu had no chance. 2-2. Now, was one of these teams going to win? No. Both teams created more chances but Dauda and his Congolese counterpart Robert Kidiaba made important saves. The result left Congo walking tall and Ghanaians shaking their heads in collective frustration. Our next match is against Mali on Thursday so there is enough time to work on our defensive mistakes. We better because Mali is not going to prove any easier than DR Congo. 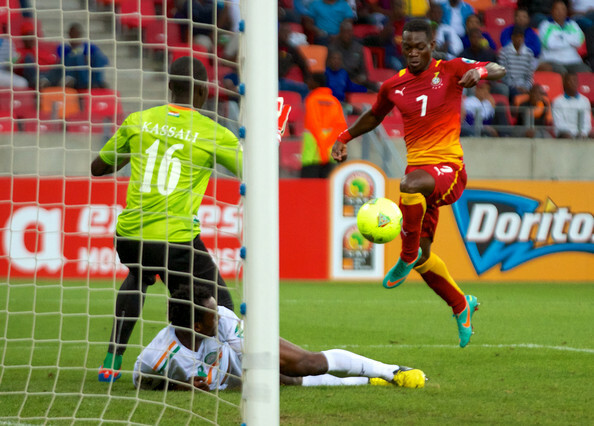 Ghana played ‘lights out’ and emphatically dispatched the Crocodiles of Lesotho Friday night in Kumasi. Yet, the story on the lips of everyone was the interruption of the match 15 minutes into the second half. Ghana led 4-0 at the time with Dominic Adiyiah’s two goals complimented by Sulley Muntari and Jordan Ayew’s first half strikes. The stadium continued to grow dark until the referee called the players and suspended the match. For once, the almost hour and a half long break in transmission was not the fault of the State broadcaster, GTV. The Electricity Company of Ghana (ECG) was being roundly chastised as it became clear that the floodlights at the stadium failed to come on. After denials from ECG spokespersons, the blame game reached the steps of the National Sports Authority, the body in charge of maintaining stadia in the country. Rather than talking about the fluid passing display of the Stars on the day or the ability of our officials to step up and take responsibility, Ghanaians all over the World were reduced to talking about our “pass the buck” attitude. It was shameful and embarrassing to say the least. Hopefully, after some thorough investigations rather than knee jerk utterances by people in authority, those responsible for our shame and embarrassment will be held accountable. Don’t count on it though. The lights were eventually fixed and the fans who kept faith at the stadium were rewarded when the game resumed. As disappointed as we all were, it did not translate to an emotional letdown on the pitch. The Stars were professional and there was no noticeable dropoff in focus and play. They simply continued to punch away at the Crocodiles’ resistance and faster than you can say BLACK OUT!!! they had added three more. Christian Atsu, Ayew and Jerry Akaminko all scored to make it a resoundingly comfortable victory. 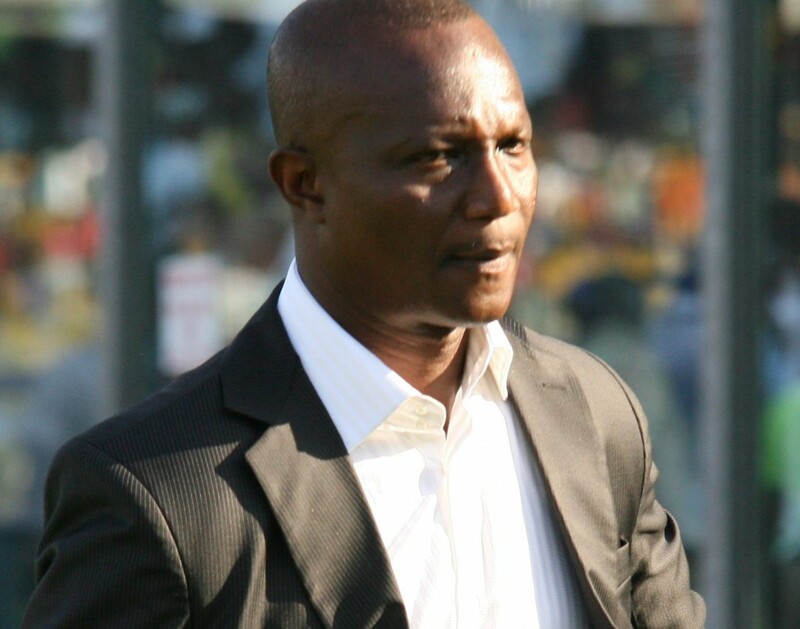 First competitive match as head coach for Kwesi Appiah and he passed it with flying red, gold, greens. Early days yet and he is sure to face stiffer opposition. How will his tactics evolve when faced with adversity? We may not have long to wait. Zambia is next. Christian Atsu was one debutante who caught the eye. One game does not a Messi make but if Atsu maintains what we saw he could be Ghana’s next big star. He has pace, is skilled with a sweet left foot that goes for goal. Jerry Akaminko’s goal will give him confidence but he was largely unchallenged. On the few occasions he was challenged, he was more a battering ram than a polished defender. He was lucky to escape punishment. Harrison Afful was good on the overlap but again, he was not tested in his primary duties as a defender so it is hard to say that his introduction to the Stars has solved our left back issues. Jordan Ayew continues to grow as an attacker on the national team. His brother Dede’s absence meant he was not playing in anyone’s shadow. His two goals were well deserved and showed some composure that he lacked on occasion at the Nations Cup. Is it just me or was there too much irony in the air yesterday? From a Generator Company’s sponsorship of the telecast to the almost instantaneous ridicule and condemnation of ECG when for once they might not have been at fault to the ignominy of the score line ‘L-E-S-O-T-H-O’ it was all too much to bear.